Now that Glossier has launched in the UK, I've been getting a few questions about what products I recommend. 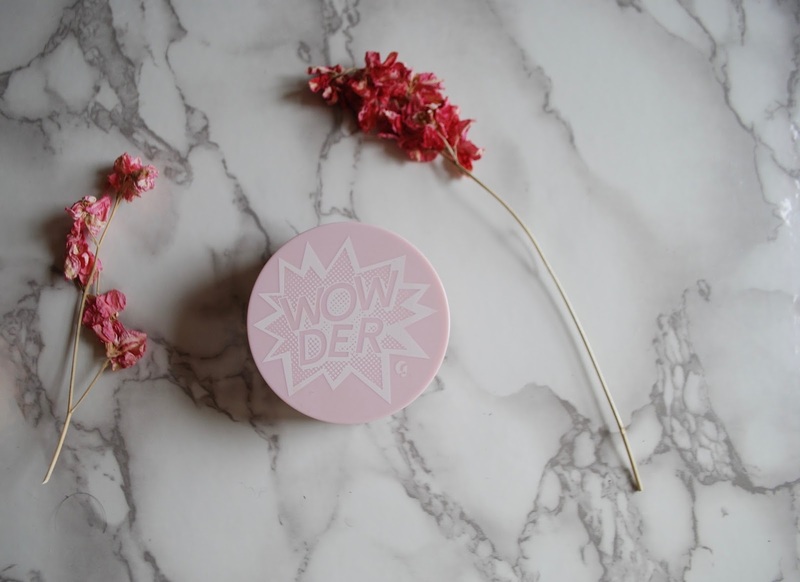 One thing that immediately comes to mind is the new Glossier powder--what they call "wowder". I use the Glossier Wowder every day that I wear makeup. Why? Because it sets the concealer on my birthmark better than any powder I have ever used. I was seriously "wowed" when I checked my concealer several hours after applying and it still looked as good as new. I have never had such a good result with any other powder. Because of how well it performs, I will keep using it. It also doesn't look very powdery on the skin, which is a bonus. It sets down makeup without accentuating dryness. It definitely gives a blurred effect to the skin and takes down unwanted shine. The lightest shade available is Light-Medium, which I am sad to say is too dark for the palest among us. I have to make sure only to put a tiny amount of product on my powder brush (and tap off excess) before applying to my birthmark or it looks too orange. I can't really use this product on the rest of my face because it imparts a dark, orange-y tone to the skin. The reason I can use a little bit on my birthmark is because the orange tone actually colour corrects the red birthmark and therefore doesn't look as strange as it does on the rest of my face. I will continue to use this because of the legendary staying power on my birthmark. If they come out with a wider shade range to accommodate more skin tones, I might just lose my mind with happiness! I genuinely think that based on its performance, it is worth the hype, but only if your skin tone is catered for in their shade range. Have you tried the Glossier Wowder? What are your thoughts?